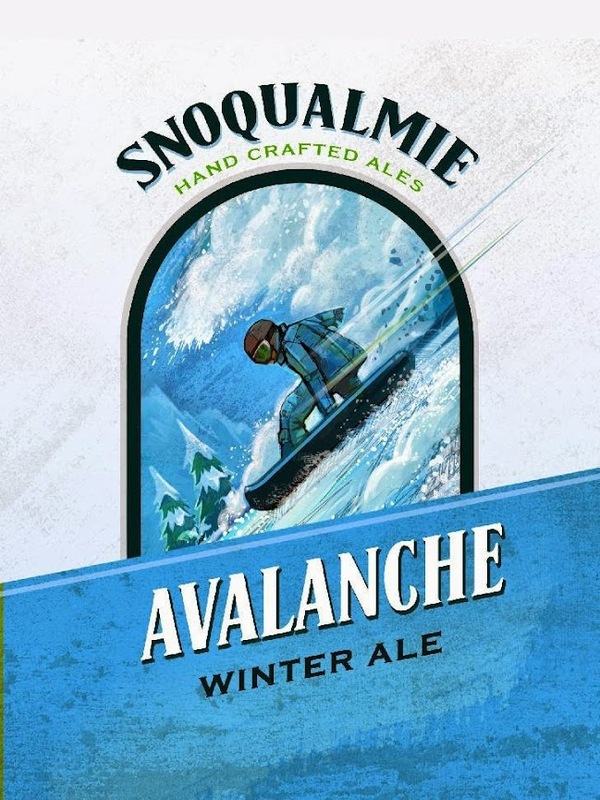 Snoqualmie, Washington – As part of our Seasonal Beer program, the Snoqualmie Falls Brewing Company is excited to release its winter favorite, Avalanche. Newly rebranded and with a tweaked recipe, Avalanche is available for widespread distribution through January. Part of our new program for seasonal beers is to change the recipe slightly every year. This year Avalanche’s Chinook and Cascade aromatic hops have been increased by 25%, which makes the huge malt profile recede a bit, resulting in a beer that is more hop forward than in the past. This beer is perfect when paired with the robust meals and abundant desserts of winter, such as Smithfield ham, turkey, pecan pie, and plum duff with hard sauce. To draw attention to the changed beer, Avalanche’s label has also changed to a more dynamic look with a snowboarder evading an avalanche. The Snoqualmie Falls Brewery began operation in 1997 and opened the Taproom for beer tasting and family dining in April 2006. Industry News: OR: Portland: North Portland’s Waypost Tavern dedicates half their draft lines to a local brewery, as part of a unique brewer’s event.